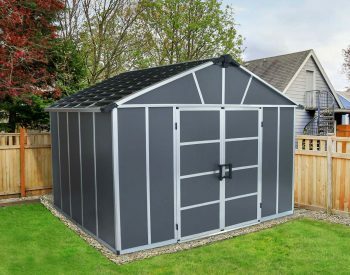 You agree to review the shed after installation, bonus item must be selected when ordering shed. 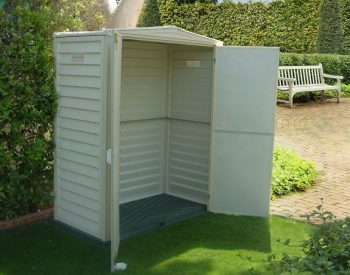 KETER FACTOR 8 x 8 PLASTIC POLY RESIN GARDEN SHED – Free delivery on this great outdoor storage solution! 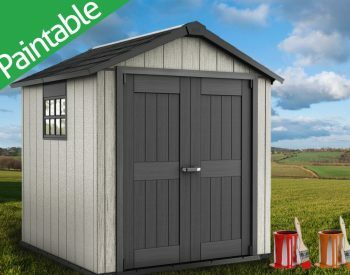 FACTOR 8 x 8 is a stylish new product featuring modern high arched double doors, window and skylight and larger storage capacity. 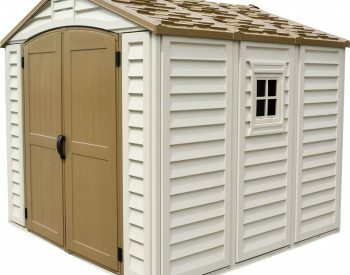 Manufactured from polypropylene resin which is formulated for durabilty and excellent UV resistance, the walls have an attractive wood-grain finish. 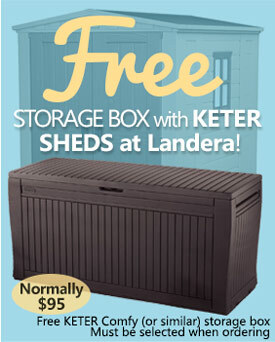 FREE DELIVERY – SALE PRICE INCLUDES FREIGHT WITHIN AUSTRALIA! Way too EasyEasy to build event my own. 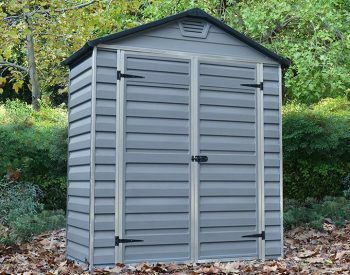 Only had assistance for some of the screws into the roof from inside the back of the shed. Very happy with the finished product. 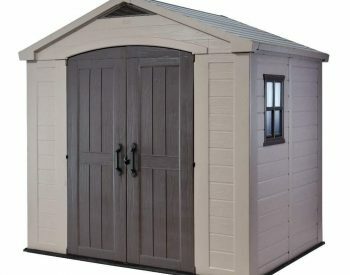 Great shedWonderfully easy shed to put together and we are no handyman. 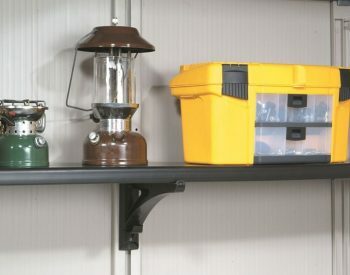 Great looking and very sturdy. 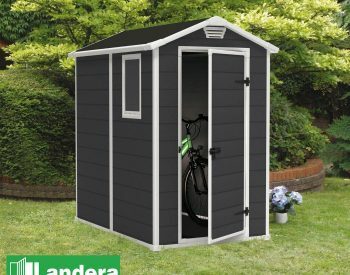 We wanted a shed that had a floor and this was a perfect choice. A little like a huge LEGO house so follow the instructions and lay everything out beforehand to make it easier for you. A drill is a must for the construction. We have had some wild weather since constructing and it is standing up to high winds and torrential rain. We had a little leak but as the rain was unbelievable heavy I thought this was acceptable. 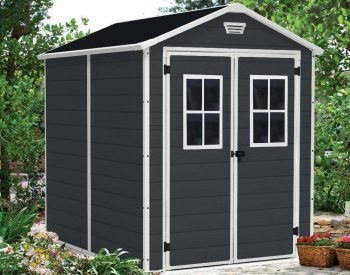 Highly recommend this shed. Quick efficient delivery. 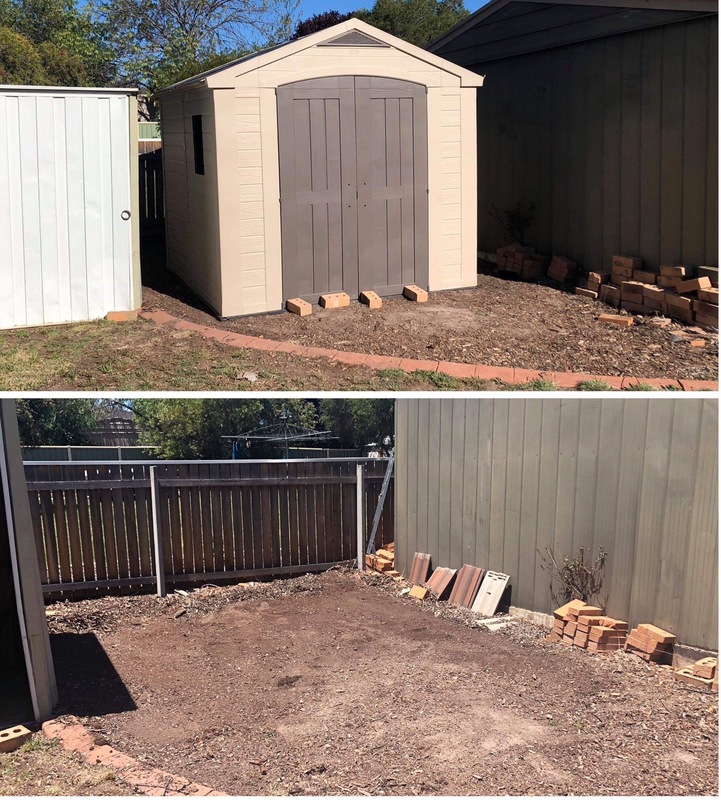 Two very large boxes which were stored in the garage as they wouldn’t fit through the gate but it was easy to unpack and spread out all the parts in the backyard. Tip, don’t leave the parts in the sun for too long as some parts get very hot and warp slightly. 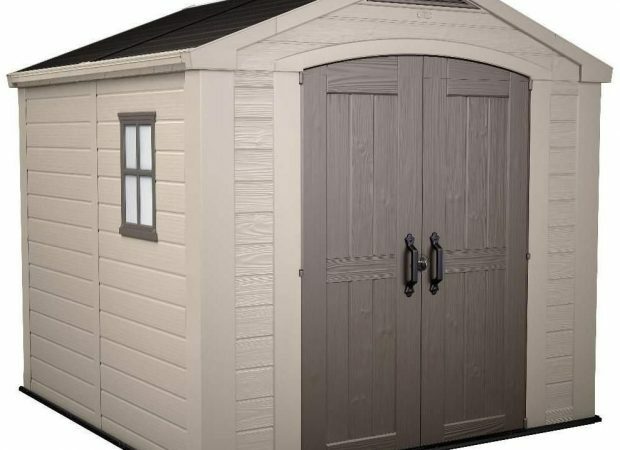 KETER FACTOR 8×8 SHEDKeter is the highest quality available and when it comes to putting a puzzle together you want to know that EVERY piece will fit perfectly, and that's why I spent more to get the best. 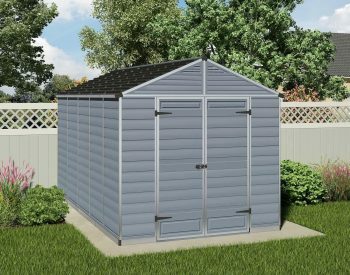 I considered metal sheds for less than half the price, but the just aren't the same high grade material that's needed for all weather conditions, and also the Keter can be moved one day when we move house. Also it comes with a solid flooring which metal doesn't. 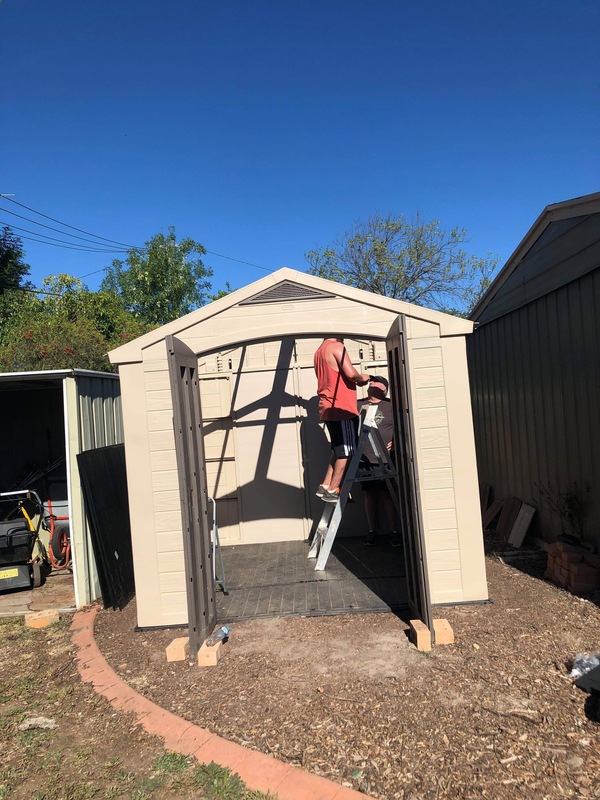 Instructions were easy enough to follow, you are supposed to have 2 people to help in some areas like roof assembly but I was alone and managed adequately, you also need access from all around especially when doing the roof. Overall very happy with my decision and would highly recommend this brand for any product available in their range.